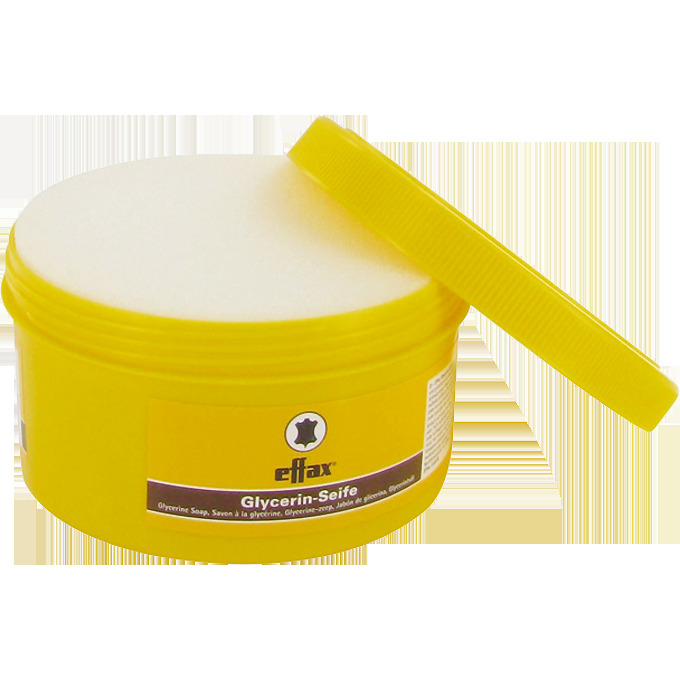 Effax Glycerine Soap quickly, gently and thoroughly cleans all types of smooth leather. Dirt, dust and sweat marks will be a thing of the past as the active substances deeply penetrate the leather making it smooth and leaving a shine and new fresh fragrance. Supplied with an applicator sponge. Simply froth up with a damp, soft sponge or cloth. Spread evenly over the leather and rub it in. Remove any soap remnants with a clean, soft cloth or sponge. There are currently no questions for Effax Glycerine Soap - be the first to ask one!